VANS has announced their newest Vans Custom Culture contest – backed by some of Hollywood's elite, including Twilight's Kristen Stewart, Conan's very own Conan O'Brien and Andy Richter, Pretty Little Liars' Lucy Hale, Heart of Dixie's Rachel Bilson, The Hangover's Joseph Garner, and many others! 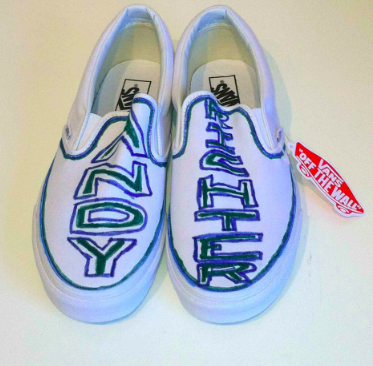 Vans Custom Culture allows the chance for all US high schools students to participate in a SUPER cool competition where they are challenged to create their most imaginative custom pairs of Vans shoes. The top five schools will be flown to LA to compete in the Art Showcase (in May) for the grand prize of $50,000, which will go to support their school’s art program. As a means to further urge kids to participate, the campaign has enlisted not only top-notch ambassadors from the art and entertainment industry's – but the sports, music and fashion realms too, including Lauren Conrad, Whitney Port and Trina Turk! Schools will be narrowed initially by an internal Vans team and then in later stages by public voting, through the Vans Custom Culture website. 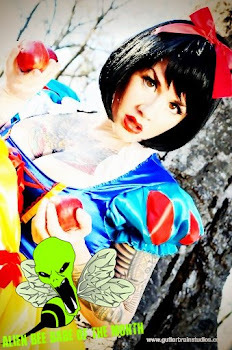 The top five schools will showcase their designs at the Vans Custom Culture final event held in Los Angeles in May 2012. Then what? Vans Custom Culture encourages students to express their personal creativity through customizing four favorite Vans canvas styles: the Old Skool, 106 Vulcanized, Sk8-Hi and Classic Slip-On. 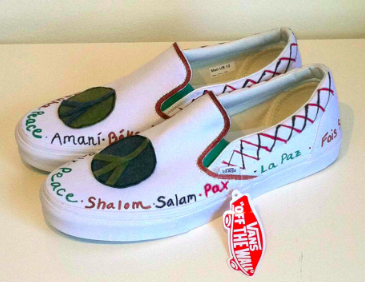 Students are charged with designing each pair of shoes to fit within one of three themes representing the Vans lifestyle including action sports, art and music and then also a fourth theme “local flavor” reflecting regional inspiration. The top five schools will be chosen by public voting and given a travel budget to fly to Los Angeles!